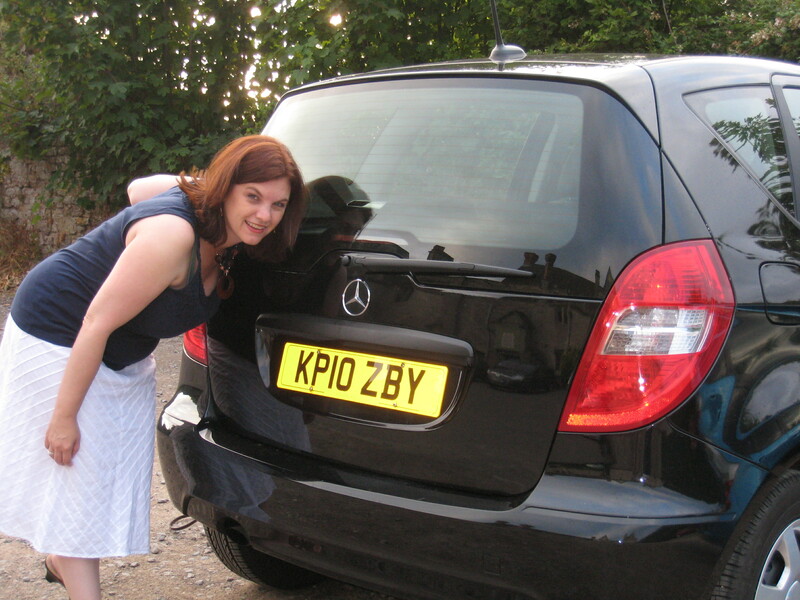 Me with my Mercedes rental car on my trip to England before I went out on a limb and cut my hair short. I started my first website in November 2007. At the time, I didn’t even know what a blog was and had no clue why there was a little orange RSS icon on my computer. Those early blog posts were pretty terrible. I’ve learned a lot since then. I had a couple of blogs about real estate (my day job) but always struggled with where I could share my other interests online. In 2011, I decided to create a blog where I could write about my vacations and Future Expat was born. It didn’t take long for me to realize I don’t travel enough (YET!) to have a blog just about travel, so I started writing about my other interests. I’ve changed the theme and topics more times than I can remember, and but I think I finally found the right mix of topics and don’t expect it to change much going forward. My most popular posts are my recipes. You’ll find my recipes aren’t complicated and rarely use processed foods. I don’t follow any of the fad diets and I don’t really worry about calories. I cook what I like and hope you’ll like it too. I also get a lot of traffic when I share pictures and stories about my adorable dog Milo and whichever foster dog is living with me at the time. I write about my volunteer experiences, home improvement projects, blogger tech tips and occasionally do product reviews. Most of my readers like to cook, like dogs, write blogs themselves, or simply like me and want to be supportive of this crazy hobby of mine. My other blog is Arch City Homes. I’m an independent contractor (meaning I don’t get any sick days or holidays and pay double the taxes compared to those of you who have an employer). I work at a really great small local brokerage, Circa Properties. While I spend a lot of time on this blog and love the idea of bringing in some income from it, the goal isn’t to quit my day job. Right now, this blog makes enough so I can go out do dinner every month a few times and that’s about it…but that will hopefully change soon! Please understand that just because I’m trying to earn some money off of this blog doesn’t mean that’s why I do it. If it was all about the money, I would shut down this blog tomorrow. Seriously, if I stopped writing this blog and put those hours into getting hired by home sellers, I would make way more money than I will ever make here. I love sharing information that can help you or inspire you. I love connecting with my blogger friends and readers. Without blogging, I would be lost. In the world of bloggers, I’m moderately techie. I’m definitely not a beginner, but my eyes glaze over when people start talking advanced analytics, how to use lighting properly to photograph food or how to modify the code in my theme files. But in the world of St. Louis real estate agents, I’m a tech rock star. I’ve taught classes to real estate agents on using technology and marketing their business, and have done some speaking gigs at local real estate industry events on video, social media, blogging and technology. I like volunteering. Ever since I was a teenager and begged my mom to let me be a candy striper at a nearby hospital, I’ve always had a couple of organizations where I volunteer. Currently, I’m focused on dog rescue work. 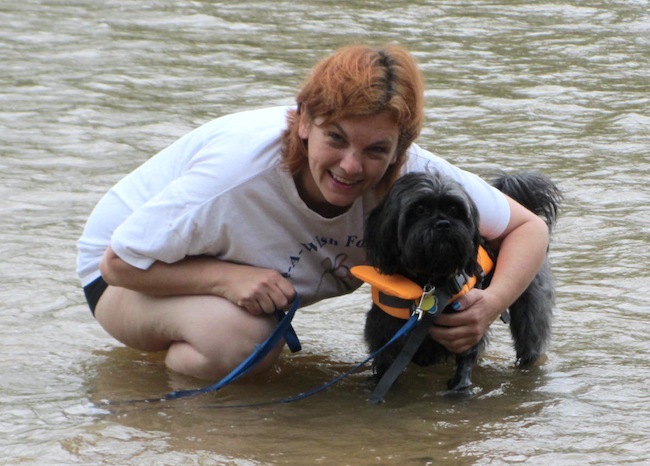 I foster dogs, help at adoption events and do community outreach with Gateway Pet Guardians to help end dog homelessness and mistreatment in impoverished East St. Louis. I’ve lived my whole live (so far) in St. Louis, MO, with short stints in Columbia, MO and Houston, TX for college. I also spent 3 summers in Lesterville, MO working at a residential summer camp that serves low income kids about 25 years ago. Someday I want to live abroad…no idea where yet. I’m hoping to spend 3-6 months living in a few places before I make any permanent decisions. I’m single and don’t have kids, other than my furry boy Milo, so I really could pick up and go for it. The hurdle is finding someone to join me on this adventure. I’m just not ready to do it alone. My dreams revolve around travel. I want to go everywhere. I want to live on an island or in a European village. I want to go on an African safari and float down the canals of Venice. My trips so far have mostly been in the United States. Internationally, I have been to Israel, Costa Rica, England, several Caribbean islands, Canada, Belize and Mexico. This blog is a first step toward making those dreams come true. Someday I hope to turn my social media, marketing and blogging skills into a business that lets me live anywhere with an internet connection. Hence the name…Future Expat. If you are looking for social media or blogging help, or want to know more about advertising on my websites, then please pop over here for more information. Yes, I sign up for just about every big social media network. Below are the ones that I’m actively using now. If you contact me on any of these, I’ll try to respond as quickly as possible. You can also send me a note on my contact page or email me at karen-at-futureexpat.com.